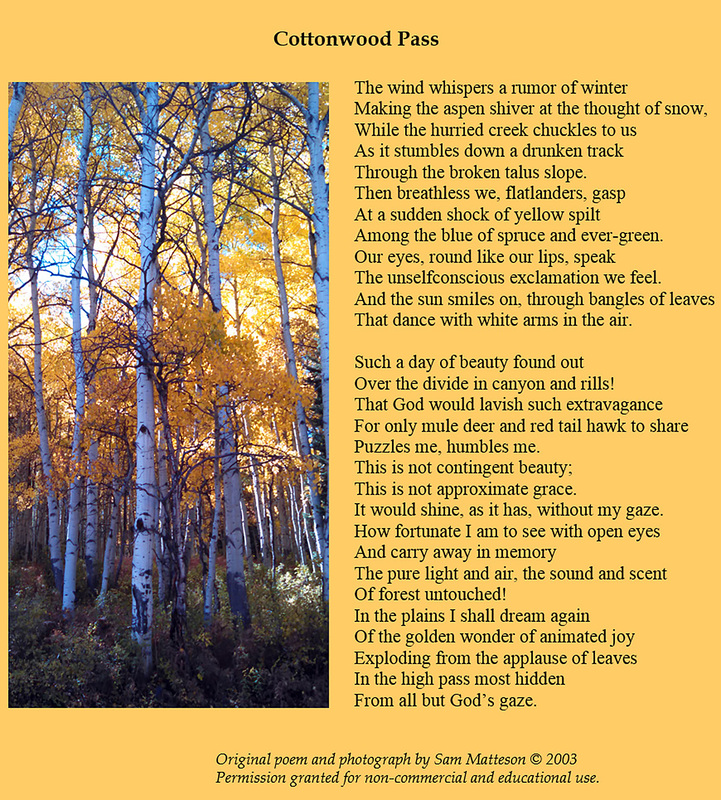 I rather enjoyed both the poetry and the photo,of ‘Cottonwood Pass,’ Sam. beautiful, indeed, brother! I came across your poem ‘Cottonwood Pass’ in my search for some devotional material to take on a canoe trip this week to a remote interior lake in Algonquin Park in northern Ontario with our church group of a dozen campers. We paddle where no motorized boats have access, and fall asleep in our tents listening to the haunting call of the loon and distant wolf howl. 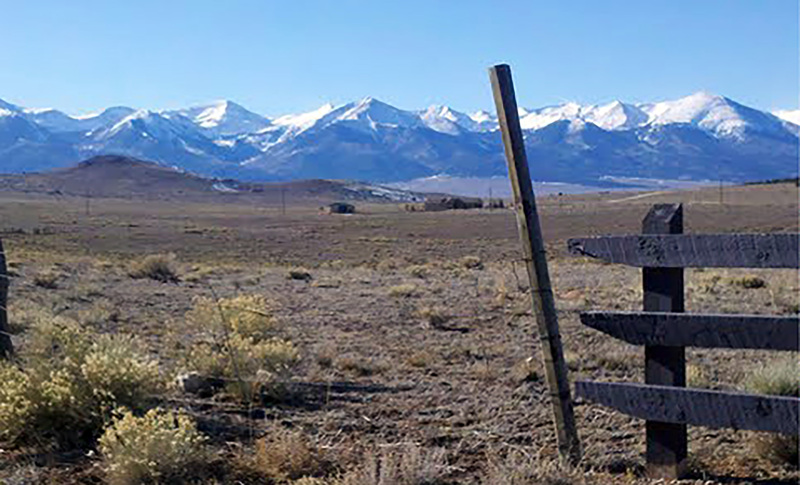 And along our journey we feel so blessed to encounter the outrageously extravagant beauty of a landscape that few will ever see, but that God nevertheless delights in gifting to this world. I will be honored to share your beautiful poem with our group. It so perfectly captures our sense of wonder. Thank you! !